Despite the fact that it has taken a few years before the American media and the American public has become aware of it, the prescription drug abuse issue that plagues that country has been around since the mid-1990s. One of the most-abused medications that have been a problem is Percocet. This is the trade name for a painkiller that combines acetaminophen and oxycodone. Oxycodone is an opiate analgesic while most people know acetaminophen as Tylenol’s primary ingredient. The opiate analgesic is a narcotic that is a derivative of the same source as heroin and morphine. The original use behind Percocet was to treat non-chronic, severe, short-term pain. Unfortunately, because of an increasing number of prescriptions for pain management, the number of people who need Percocet addiction treatment has drastically increased. How Does the Drug Impact Users? One of the reasons that people need Percocet addiction recovery is because of how it functions. Essentially, it is a similar narcotic to heroin and morphine. It affects the brain and our central nervous system. The medication is able to change the way that the brain perceives pain. Even though the number of people who struggle with it are limited, even people who take the medication as prescribed may need Percocet treatment. The abuse of the drug becomes far more dangerous when people crush the tablet or take far more than the recommended dosages. While Percocet has a time-release mechanism (which ensures that users are able to enjoy long-term pain relief), that mechanism is eliminated if the user crushes up the pill. The way that the user feels when taking the drug is not unlike the same pleasurable sensations that someone has when they use heroin. The drug can trigger the release of dopamine and works as a central nervous system depressant. The release of dopamine means that the user experiences some euphoric sensations, including feelings of relaxation and calm. 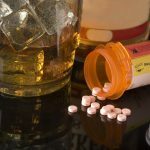 One of the reasons that more and more people need treatment for Percocet addiction and for prescription drug abuse in general, is because many people who take the drug believe it is a safe way to experience a buzz. The perception is that abusing an opioid painkiller like Percocet is not as dangerous as heroin or methamphetamine. The harsh reality is that the abuse of this narcotic can have the same serious consequences that we might otherwise see in street drugs. This includes problems with addiction and fatal overdoses. Keep in mind that there are many different signs that someone you know might need Percocet addiction help. It is important that people be aware of the fact that this can be an extremely effective method to manage pain if the user takes the medication as prescribed. Because it is possible to develop mental and physical dependence on the drug, Percocet is not recommended for the long-term treatment of pain. Building a tolerance – If the user takes in more and more of the same drug over a prolonged period of time, the body develops a tolerance. This means that the user is going to need to ingest more of the same drug in order to feel those same pleasurable sensations as before. Where one pill might have been enough before, eventually it turns into a pill and a half, which will later turn into two pills. Dependence on the drug – This can be both physical and mental dependence. It means that without using the drug, the user will experience withdrawal symptoms. The user may also feel as though they are not able to make it through the day without using. Mood and behavior changes – Even though users are noticeably different when ‘high’, most people only realize that there is a problem when the person struggling with addiction is unable to get the drug they need. This could lead to the person becoming hostile, volatile, agitated or anxious. Compulsive user – There is genuine craving for the drug and the user will do whatever it takes to get more. This means ignoring negative physical, psychological and social consequences. If someone continues to abuse the drug long enough, a decrease in dosage or stopping use altogether can lead to withdrawal symptoms. This means that the body is struggling with the fact that it no longer has the drug available. Some of the more serious withdrawal symptoms include convulsion or seizure in chronic abusers. If someone does abuse Percocet for a prolonged period of time, withdrawal symptoms might set in anywhere between six and eight hours after last using. Because of the dangerous withdrawal symptoms, it is not recommended that you cease use on your own. Make sure that you have qualified medical professionals who are able to help you with these sometimes life-threatening symptoms. One of the reasons that Percocet rehab comes so highly recommended is because of the difficult withdrawal symptoms and the dangerous concept of a relapse. Having medical supervision during the process is going to eliminate a number of different risks that detoxifying alone would carry with it. The first step in any Percocet addiction help program means detoxification of the body. This means flushing the drugs out of the user’s system. Without detoxification, rehabilitation is not going to be successful. Someone who only detoxifies their body without undergoing additional treatment for their addiction is likely to relapse again in the future. A long-term treatment program of at least three months is the best option for most patients. 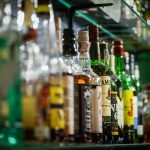 This not only helps people get through the withdrawal process, but also gives the user a chance to focus on the underlying root cause of what led to the addiction in the first place. Only then can someone truly say that they have overcome the issue. Give yourself or someone close to you the best chance of recovery, make sure to find a qualified treatment center today.